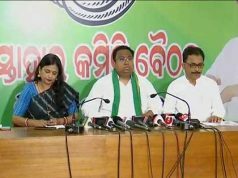 Bhubaneswar: vThe State Government on Wednesday re-launched the Sarbakhyama Yojana (amnesty scheme) to regularise unauthorised constructions and projects. The Government has completely relaxed stairwell and veranda width size rules of the residential houses. But, few relaxations have been made in case of apartments and special buildings. The authorities have relaxed only 25 per cent parking rules for multi-storied buildings. It is inevitable to commission the water storage sump tank and rooftop water tank as per the rules in the apartments and residential houses. However, rules have been relaxed partially for the buildings constructed by the organisations associated with healthcare services.